Davis Trailer World joined up with Cazbah in 2005. For the past 10 years they have seen their website traffic grow and they’ve watched their sales increase every year. Cazbah completely redesigned their website to be more user friendly, focusing on providing their customers with the information that they were searching for. Cazbah developed and optimizing the contents of the new website. 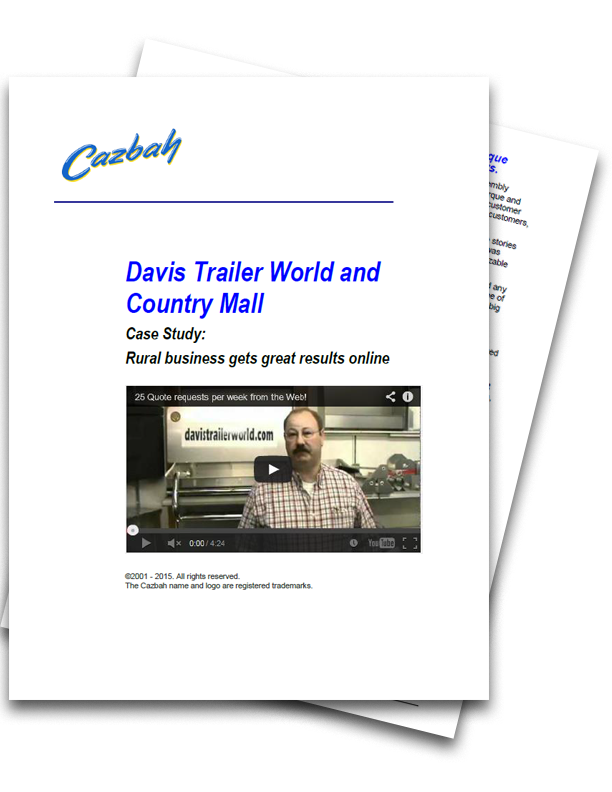 These efforts have paid-off, allowing customers to find the product specific web pages on the Davis Trailer World website when they search.